If you’re looking to lose weight, and fast, Caralluma Fimbriata is your answer. It’s just one simple and natural ingredient. This cactus plant, belonging to the Apocynaceae family, is originally from India but can now be found in Africa, the Middle East, and in Europe. It has been used for thousands of years as an appetite suppressant. The edible cactus is known to help curb cravings and suppress appetite. It was once used by indigenous hunters and during times of famine. In the United States Caralluma is now commonly taken in pill form to aid in weight loss and improve energy. 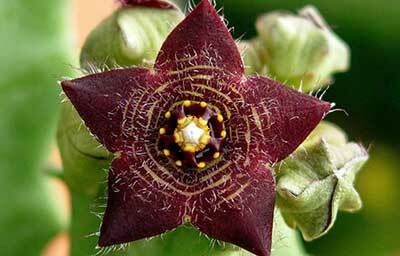 There are numerous ways to ingest Caralluma. From boiling it, eating it raw, or taking as a supplement the appetite suppressant qualities remain the same. You can add it to condiments, cook it as a vegetable, eat it raw, or take it in supplement form. The most common, due to its potent taste as a plant, is to take it in capsule form. This ensures you are getting the correct dosage as well as avoiding the taste of the cactus plant. In 2014 The U.S. Food and Drug Administration (FDA) added Caralluma to the GRAS (generally recognized as safe) list of food ingredients. It’s not exactly known how or why this plant is such an effective appetite suppressant but it is believed that the chemicals in the plant reduce the secretion of a hormone, ghrelin, which prevents the formation of hunger-promoting molecules. The chemicals in this plant are known to not only decrease appetite and curb cravings but also to increase energy. It also has a high concentration of fiber, around 15%, which is essential for digestive health. This natural plant is the one and only ingredient in the capsule and will give you all the benefits, and more, of those other weight loss supplements. With just one ingredient you can be losing inches off your waist. Caralluma suppresses those mid-day and late-evening cravings that have you reaching for the cookies or chips. It gives you enough energy to help you power through the day. In addition, it helps to curb your appetite for all those in-between meals you eat during the day. People see the most benefits, and the greatest number of inches off their waist, when taken twice a day for up to 60 days. The most common dosage is 500mg per serving. In addition to being used for weight loss Caralluma has more recently been identified as a powerful and effective antioxidant. This natural supplement has also helped sufferers of Prader-Willi Syndrome. PWS is a genetic disorder affecting children and adolescents. Children suffering from PWS are at disk for obesity and developmental delays. Caralluma is commonly used to help aid in these genetic factors and help reduce obesity amongst those suffering from Prader-Willi. Reported Caralluma Fimbriata users saw noticeable results in a decreased appetite after 1-2 weeks of daily use. In addition, users have reported inches off their waist after 4-6 weeks of use. Caralluma might cause some mild side effects such as an upset stomach, intestinal gas or constipation. Luckily, these side effects usually go away after a few days of use. In addition, no studies have shown any harmful side effects when taken properly and at a proper dosage. Again, Caralluma should be taken for up to 60 days, twice a day. If continued for longer use one should consult their primary care physician. Due to the fact that Caralluma is a naturally growing plant, which ensures that it is pure and simple, it is not known to have any negative drug interactions. It is safe to take with your other supplements or medicines. Simply add one or two capsules to your routine and watch the pounds melt away. It has been said that there is no magic weight loss pill, however, Caralluma changes the game. The entirely natural and pure ingredients of Caralluma Fimbriata are in easy to swallow capsules and can easily be added to your daily regimen. Watch the pounds melt away and inches drop from your waist with Caralluma. Older What is Ashwagandha and How Can it Help My Thyroid?